Home / Chiropractor / Do You Need Chiropractic After An Auto Accident? Do You Need Chiropractic After An Auto Accident? Do you need to seek out chiropractic care following an auto accident? My answer is a resounding “yes!” Why is it so important? Why can’t you just rest and take the medications that were prescribed by your medical doctor? Is the insurance company going to give you a hard time about it? The reason why chiropractic care is so important after an accident has little to do with you being in pain (although it’s good for that too). A vertebra that moves out of its normal alignment can wreak havoc on your neck and its associated nerves. You may not be in a lot of pain immediately following the accident, but research indicates that most people will experience a bulk of their symptoms after a few days. Once you start to feel symptoms, this is a good indicator that something has moved out of place, and likely that you’re experiencing a sprain/strain kind of injury. Sprain and strain don’t sound horrible, but really they are describing tears of various tissues in your body. The severity of the tear will indicate the type of treatment you should probably consider first. The chiropractor can help make the determination. Eventually, your body will heal with scar tissue. Scar tissue is more sensitive than the previously uninjured tissue that you had within you before. Once scar tissue sets up (this takes about 3 weeks following the trauma), it will become increasingly difficult to get you back to your pre-accident state. Receiving some chiropractic adjustments to your spine will help assure that your spine is in its best position as that scar tissue begins to form. The better your spine is when all of this occurs, the more likely you can return pain-free following your therapy and treatment. So why can’t you just rest and take the medications? That may be your best first course of treatment for a couple of days following your accident, but certainly can’t be the best choice long term. The medications are there to help you with pain, to help you get through the difficulty of the initial phase of your injury. However, they’re certainly not fixing anything. In addition to the chiropractic adjustment, you can typically receive additional therapies that will help your muscles and other soft tissue heal more quickly than just “resting” alone. The additional therapies also help with pain, swelling, and inflammation and can be a big help in the speed of your recovery. 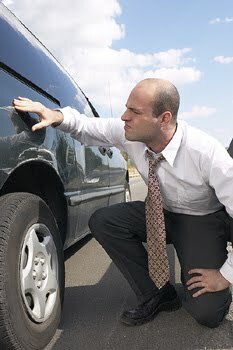 Will your auto insurance or health insurance company give you any trouble? You have insurance for just this type of situation, when you need health care and you can’t afford to pay for it yourself. Your health insurance company may have issue if the accident wasn’t your fault and the other person should be paying for it (or their insurance), but otherwise you shouldn’t have trouble here. Your auto insurance policy will determine the amount of coverage and just how much help the company has to give. Still, it’s your body and your health and you’ll need to make sure your injuries are taken care of following the accident. Where you will have trouble is if months have gone by and you haven’t gone to see any doctors, just hoping it will go away. Then you decide to tell your insurance company that they need to pay for it all. That doesn’t go over too well. If you’ve been in an auto accident, it’s a good idea to see a chiropractor and do it as quickly as possible once you realize you’ve been injured. The faster you get some type of treatment, usually the better your results.